Delightful landscapes, extraordinary artwork, a fascinating area rich in history, special traditions and folklore. Away from the congestion of traditional tourist paths, but still close to important cities in the region, Abano Terme is located at the foot of the Euganean Hills, which offers unique itineraries through walled cities and villages that appear like small precious gems set in the land: Arquà Petrarca, Praglia Abbey, Valsanzibio Garden, Monselice, Montagnana and Este (walled cities). 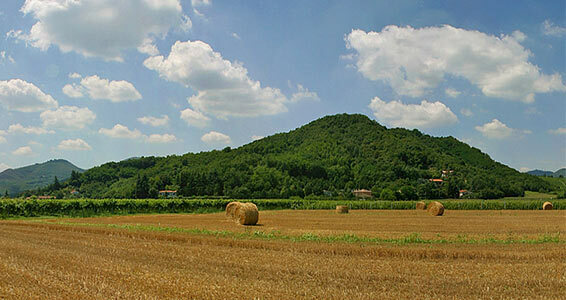 The Euganean Hills rise unexpectedly from the flat earth: they are the product of volcanic eruptions that took place millions of years ago. 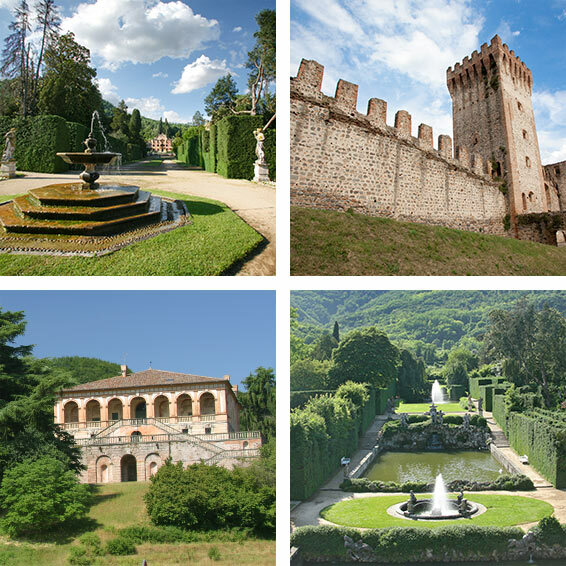 The landscape is in fact a perfect geometrical sequence of vineyards, villages and medieval castles; Renaissance villas and patrician residences; churches, monasteries and retreats, inhabited up until now by Benedictines and the Camaldolese. A treasure chest contained within the naturalistic island, which is protected by the Regional Park. On the way to the Strada del Vino Colli Euganei, the favourite places of illustrious personalities such as Petrarch, Goethe, Foscolo, Byron and Shelley are visible. After the age of retreats (RUA) and abbeys (PRAGLIA), the fifth century engendered a period of refined beauty and artistic blossoming for the Euganean Hills that found its highest form of expression in the Venetian Villa. Famous architects like Andrea Palladio constructed houses around the area for the most powerful Venetian families of the time (Papafava, Barbarigo…). However, it is because of the Carraresi family that, in the sixth century, the great medieval fortifications flourished in the cities of Monselice, Este and Montagnana (a wall surrounds an area of more than 2000 meters, broken by 24 hexagonal towers). .
From village to village, the protagonists of artistic crafts itineraries are the laboratories and the shops where the master craftsmen created precious artworks, made with techniques handed down from generation to generation. The park was established in 1989; it is 18.702 hectares and includes the highest hill peaks of the Padana plain. Secular oak trees and chestnut tree woods alternate with Mediterranean bushes and large vine and fruit terrace cultivations.